“Smart home products help make our lives easier. No one wants to fork out their hard earned cash for products and appliances that are time-consuming to use, or add more stress to our homes,” said Sergiy Bobrovnychyy, Kogan.com Director of Exclusive Brands. Kogan’s range of smart home appliances now includes two portable air conditioners, four light bulbs and even a smart plug that allows ‘dumb’ devices to be controlled through the Kogan SmarterHome App. The Kogan SmarterHome Air Conditioners can dehumidify, heat, and cool a room. With the SmarterHome App, users can schedule the air conditioner to heat or cool their home at specific times. 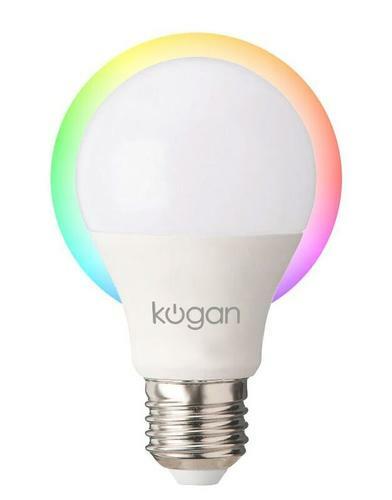 The new Kogan SmarterHome bulbs give users the ability to control their lighting remotely or with simple commands. Users can choose from screw-in and two prong bulbs, in both white and ambient options. With the launch of the Kogan SmarterHome Plug, even ‘dumb’ devices can now be connected and controlled through the free Kogan SmarterHome App. The app will show how much energy is being consumed, helping users keep on top of their energy bills, according to Kogan. “The SmarterHome range incorporates smart technologies into everyday appliances, helping to improve our lives, 365 days a year. Whether you’re trying to conserve energy consumption or simply want a more accessible way to switch off the lights, Kogan.com is making it easier to control your devices anytime, anywhere.,” said Bobrovnychyy. “We are here to make the most in-demand technology more affordable, and today’s launch will help more people create a smarter home for less,” added Bobrovnychyy. The new Kogan SmarterHome portable air conditioners, light bulbs and plugs are now available exclusively on kogan.com. The Kogan SmarterHome App is available to download for free on iOS and Android.